You as an individual, or your nonprofit organization has a mission or a cause that you want to support so that you can make a difference in this world. You have identified a grant on www.GrantWatch.com or a philanthropist who is willing to fund your project. Now you realize that the eligibility for that grant calls for nonprofit status. In order for funders to support the cause or mission, that person, corporation or grant donor wants to know if donating to you or your nonprofits project will offer a tax write-off on their tax return. Your answer is no, if you or your nonprofit organization does not have an Internal Revenue Service (IRS) tax exempt status. The eligibility for most of the grants on GrantWatch.com require an Internal Revenue Service (IRS) tax exempt status. There are many types of IRS designated tax exemptions. If you or your nonprofit organization has applied for an IRS designated tax exempt status, you already know that it can take up to a year or more to receive this. However, what if you or your organization has a grant or funder that is ready to give money now? Don’t worry, the best solution for your dilemma is to get a fiscal sponsor for your individual or nonprofit project. A fiscal sponsor is an IRS approved tax exempt organization. They provide the much needed tax exempt status. This tax exempt status permits them to accept funds restricted on behalf of your individual or nonprofit project. The fiscal sponsor also accepts the responsibility to ensure the funds are properly spent to achieve the project’s goals. Manage your money while you are managing the business of helping those in need. If you have applied for a tax exempt status with the IRS but want to receive funding immediately. Short term project such as memorial contributions, assistance for local disaster, or construction of a new playground or dog park. If you decide to elect a fiscal sponsor for your individual or nonprofit’s project need, you will be gaining a collaborative partner in line with your cause or mission. A good fiscal sponsor will only collaborate with a project who’s cause or mission is closely related with the sponsor’s mission. Your grant writer can assist you with finding a fiscal sponsor that is a good math for your organization. Besides managing your funds, the fiscal sponsor may have other resources such as advice, grant writing, payroll, insurance or legal assistance they can provide. 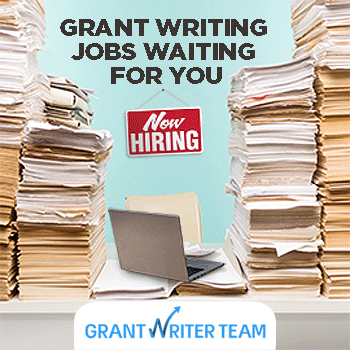 To find a fiscal a grant writer to assist your organization go to www.grantwriterteam.com. To find a fiscal sponsor that maybe right for your cause or mission, you can visit www.fiscalsponsordirectory.org. About the Author: Ciara Wimby is the Founder & CEO of LIV You Nonprofit. She has worked in the nonprofit sectors serving in such roles as Business Manager at the Austin YMCA and Fiscal Manager at the Love Foundation.